(5 October 1885 – 20 September 1960). Was a Russian ballerina, actress, patron and Belle Époque figure. (May 10, 1866 – December 28, 1924). 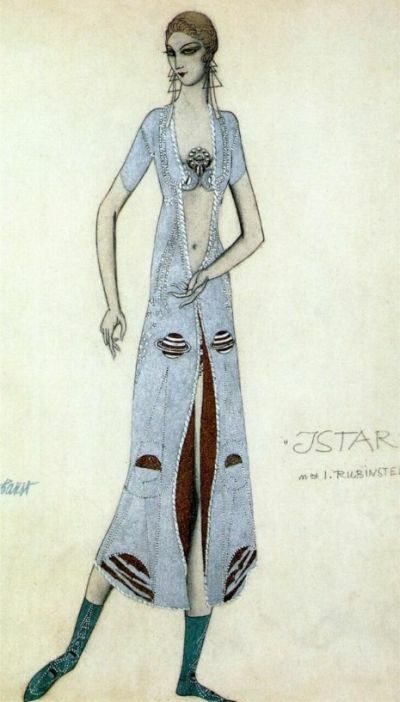 Was a Russian painter and scene- and costume designer. He was a member of the Sergei Diaghilev circle and the Ballets Russes, for which he designed exotic, richly coloured sets and costumes.